South Africa’s cabinet is to consider a proposal that a mooted nuclear power deal for the country be financed through the state-owned power utility Eskom. This is the latest twist in South Africa’s controversial efforts to expand its nuclear power capability by commissioning up to 9.6GW of energy from six nuclear power stations. The decision has been mired in controversy and still hangs in the balance and the offer by Eskom to foot the bill raises more questions than it provides answers. 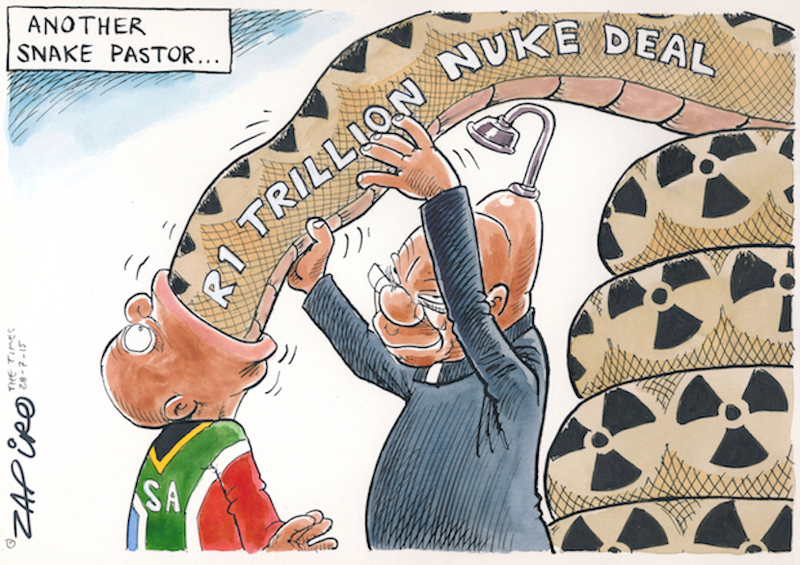 Recent claims by Eskom’s management fail to adequately address any of the fundamental criticisms of the proposed nuclear programme. Statements that Eskom can “finance nuclear on its own”, or absorb the risks from an incorrect decision, don’t add up economically or financially, and are misleading. Furthermore, changes in Eskom’s rationale for justifying nuclear procurement over the last two years call into question the merits and motives of these arguments. Its claims about financing also raise serious questions about the arguments it presented to Parliament last year to justify a R23 billion cash injection and writing off a R60 billion loan. The right decision would be for cabinet to defer further consideration of the programme for at least two years. In addition Eskom should account to Parliament on discrepancies in its statements about its financial situation. The three main problems with the case for nuclear procurement are well-established. The actual power probably will not be needed. Recent trends in economic growth and electricity demand are much lower than the original forecasts on which the supposed need for nuclear power were based. The programme is also likely to be very costly although there are still no credible, government cost estimates in the public domain. Many energy experts have argued that even if additional capacity was needed, other energy sources may be cheaper or more appropriate. Finally, the combination of insufficient demand and costly supply means that nuclear poses a serious threat to the future stability of the country’s public finances and economic growth. An indicator of problematic motives behind the push for nuclear is the way in which the arguments made for it keep shifting. Late last year Eskom CEO Brian Molefe told parliament that procurement of nuclear was “urgent” and feasible. 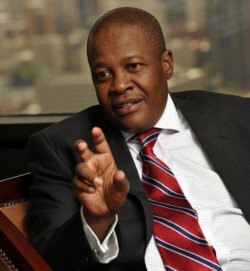 Molefe argued that nuclear costs are lower than critics imply and concerns about financing reflect a “pedestrian” attitude. Subsequent to this Eskom decided on a new line of attack: trying to limit procurement of power from independent renewable energy producers. In a letter to the minister of public enterprises Eskom questioned the merits of renewable energy programmes that had been approved and were already proceeding. It has subsequently become clear that Eskom is defying national policy decisions by not signing renewable energy agreements. In doing so Eskom is attempting to obstruct the procurement of other forms of energy to “create” a need for nuclear. Eskom’s statements about “independent” financing are similarly misleading. Eskom has been, and continues to be, heavily reliant on government support. As of February 2016, Eskom held R350 billion of debt guarantees from the National Treasury, of which it had used R168 billion. Worse, in 2015 Parliament approved a R23 billion cash transfer to Eskom and an eight-year-old R60 billion loan was written off. One estimate of the additional cost of foregone interest payments is a massive R82.6 billion. Eskom won the concessions because it claimed that it needed support to stabilise its balance sheet. And its CEO accepted a large bonus for the improvement in Eskom’s finances. Yet Eskom now claims it will have an excess of R150 billion in cash, and can borrow to fund the nuclear build programme. The appropriations committees of Parliament that approved the 2015 financing for Eskom should demand an explanation for this apparent contradiction. Even if Eskom was not receiving government support, procurement of nuclear would still be a threat to the economy and an indirect threat to public finances. As the latest medium term budget showed, a decline in economic growth has a knock-on effect on government revenue. The dynamics that would unfold have been experienced in the country before following the introduction of e-Tolls. The costs were passed onto motorists who then refused to pay, requiring significant financial intervention by the government. The danger is that this could happen on a much larger scale with the nuclear build. In essence, having financed the procurement of costly, unnecessary energy capacity using power-purchase agreements, Eskom would have to pay for the energy even if consumers do not need it. If tariffs are insufficient then Eskom’s balance sheet would be compromised and national government would have to step in. And it would, because Eskom is too big to fail. Alternatively, if higher tariffs are approved – in advance, or at the time – by the regulator, these will have a very negative effect on citizens’ welfare and on economic growth. At best this would reduce government revenue and compromise efforts to improve the lives of all citizens. At worst, it could lead to social instability and a refusal to pay exorbitantly high tariffs, leading to a collapse in Eskom’s finances and the government – again – having to step in. It should therefore be clear that the case for proceeding with the procurement of nuclear power at this point, whether through Eskom or another mechanism, is fundamentally flawed. The rational and responsible decision by Cabinet would be to halt the process. If economic growth and energy demand increases significantly over the next few years the matter could be revisited based on an appropriately updated Integrated Resource Plan that uses credible forecasts of future energy needs.